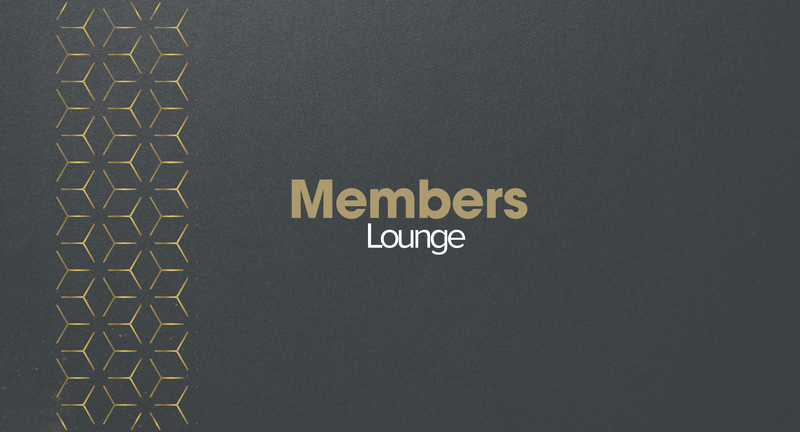 The 2019 Members Lounge serves up an intimate setting for professional development during Canadian Screen Week. Featuring cutting-edge programming with over 75 speakers and 25 industry sessions, the Members Lounge leads the conversation as we confront The New Now. Disruption. Diversity. New Voices. Sustainability. The seismic shifts occurring in the media sector are forcing us back to fundamentals, while technology and innovation have never been more exciting or accessible. If we push past the boundaries of “what has been” into the future of “what will be,” we can forge tomorrow’s path. Across Canada, emerging creators and industry moguls have an opportunity to come together to define our national voice and help solve the equation of The New Now. Protecting the Source is a thought-provoking discussion with award-winning Canadian correspondents, examining the current challenges, innovations, and ethical questions confronting journalists today. Do you need to take a meeting to discuss a new project? Are you looking for a creative environment for a small group to gather and exchange ideas? No Problem! The Members Lounge has reserved this time for industry members to work and meet during Canadian Screen Week. Free WIFI available. The Power of the Image is an eye-opening conversation with Special Award recipient, Elizabeth Klinck, and award-winning director, Jennifer Baichwal, about the role that visual researching plays in a compelling narrative. Post-Production Excellence on the Global Stage is a dynamic panel discussion that examines the growing global recognition of Canadian television’s post-production landscape. Global Reach | A Story about a Web Series is an enlightening panel discussion with experts in the creative execution and proliferation of outstanding online content. Academy award-winning producer J. Miles Dale joins us for a fireside chat to take us on a journey through his storied career and his impressive body of work. The New Guard | Dismantling the Status Quo is a candid panel discussion with a new generation of Canadian feature filmmakers who are prescribing their individual path to success, on their own terms. Spotlight on Growth | The GTA’s Booming Film / TV Industry is a prescient discourse with industry leaders and union officials on their strategies to keep the production boom growing in the GTA. Aesthetics of Comedy delves into comedic expression with experienced industry pros whose cinematic arts’ specialties encompass hair, makeup, and wardrobe. An intimate conversation with renowned director Vincenzo Natali. Known worldwide for his unique style and strong aesthetic, Natali has directed across many genres with some of his most compelling work born of sci -fi and horror. Media Entrepreneurs | The Ultimate Risk Takers is an insightful panel discussion with high-level executives, who are experienced in the high stakes game of mergers and acquisitions. Creative Collaborations on Baroness von Sketch explores the vital relationship between director, production designer, and location manager through the complicated lens of the Baroness von Sketch Show. Cybersecurity for Indie Production Companies is a discussion tackling industry best practices on how to protect your media and your company’s sensitive materials, as well as actionable ways to prevent cybercrime. Monetization and Diversification | Structuring your Content Portfolio examines the ways and means by which our accomplished panelists have achieved financial and critical success as independent producers in The New Now. An intimate fireside chat with Special Award recipient, Brad Wright, a prolific producer and screenwriter, who is best known as the creator of Travelers and co-creator of Stargate SG-1, Stargate Atlantis and Stargate Universe. The Tastemakers | Today’s Media Mavericks is a candid panel discussion with today’s powerful decision-makers in the global media sector. The Creatures are Coming to Life is a fascinating panel discussion about bringing creatures to life with famed creature creator Cesar Dacol Jr. The Inimitable Mary Walsh on Firecracker! The Inimitable Mary Walsh on Firecracker! features funny gal Naomi Snieckus as she interviews Special Award recipient, funny gal, Mary Walsh, for The Firecracker Podcast.